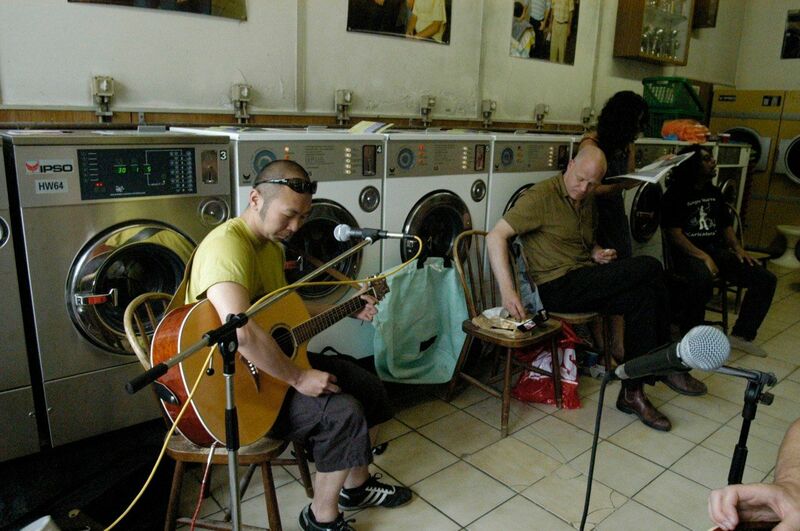 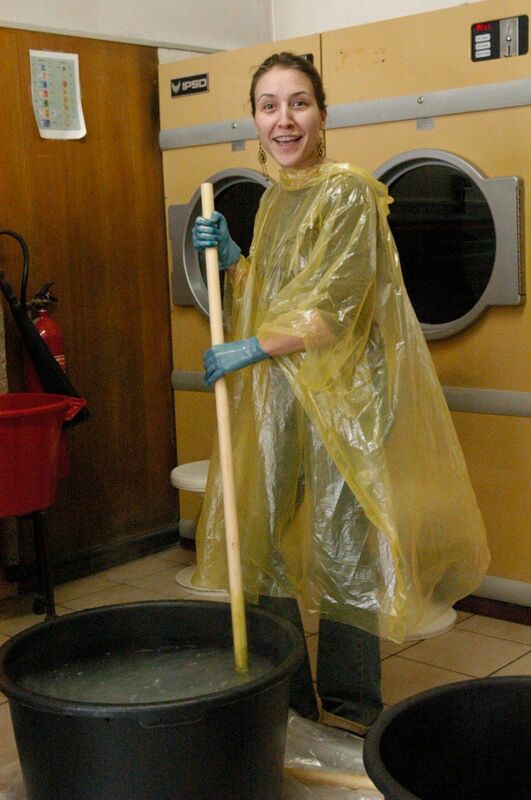 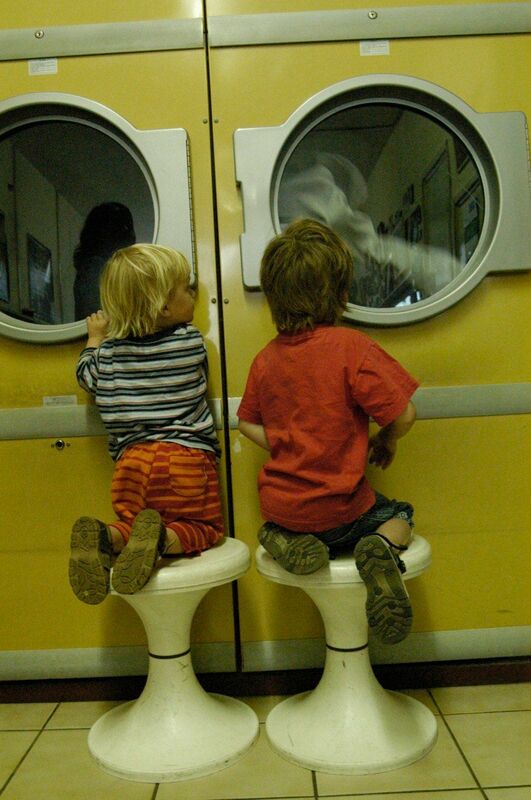 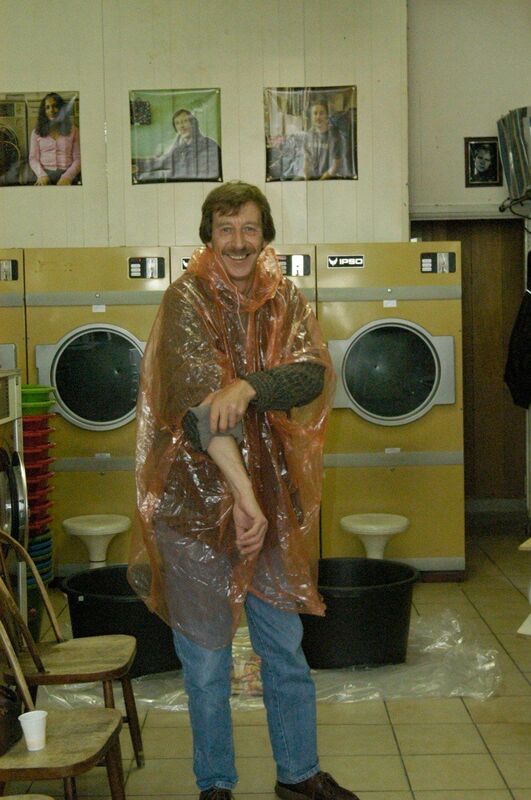 Action in a launderette. 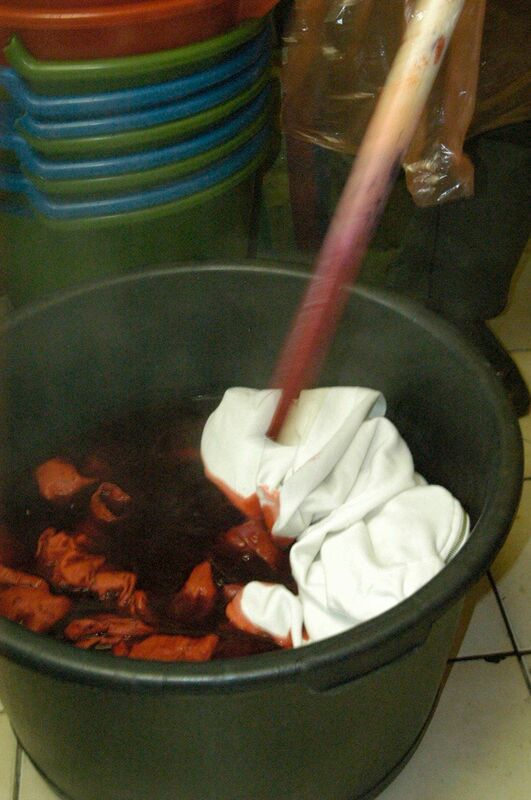 Dying clothes. 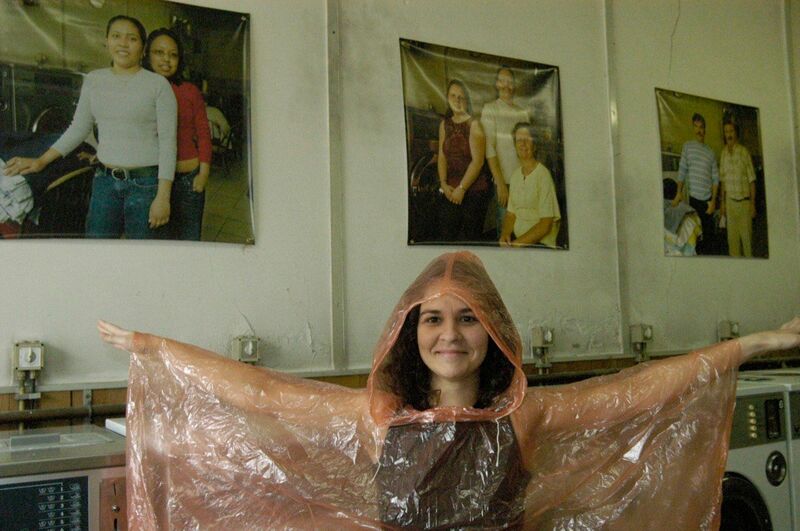 Project developed in collaboration with photographer Ximena Davalos and created as a social engaging performance. 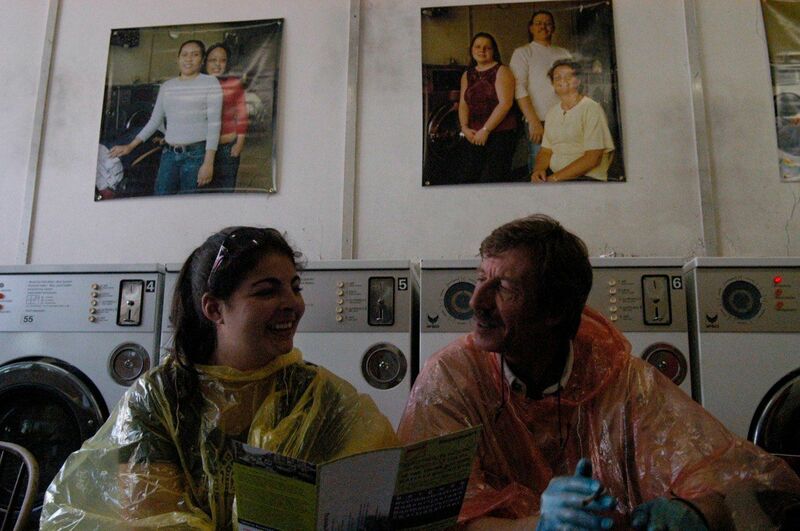 It took place during four weekends where people from a multicultural neighbourhood in the north of Rotterdam were invited to bring old clothes and to participate in dying them in different colours. 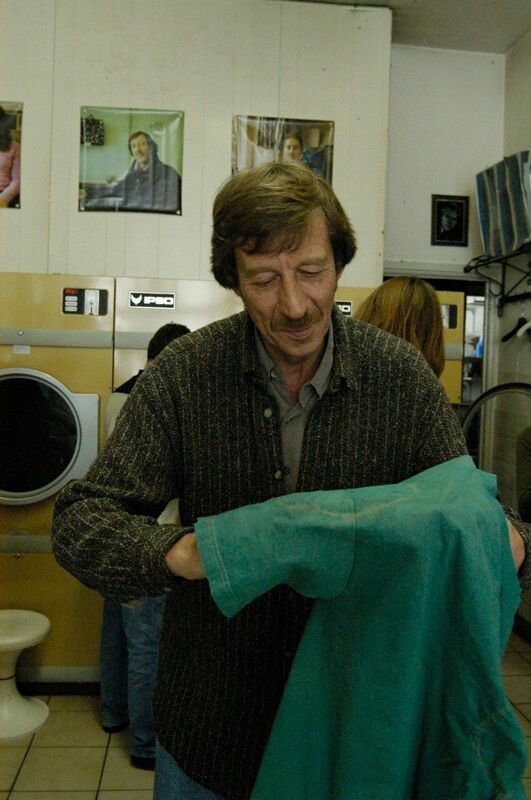 The launderette was also ornamented for the occasion with portraits of the owner and his family, referencing the home and environment of a middle class family. 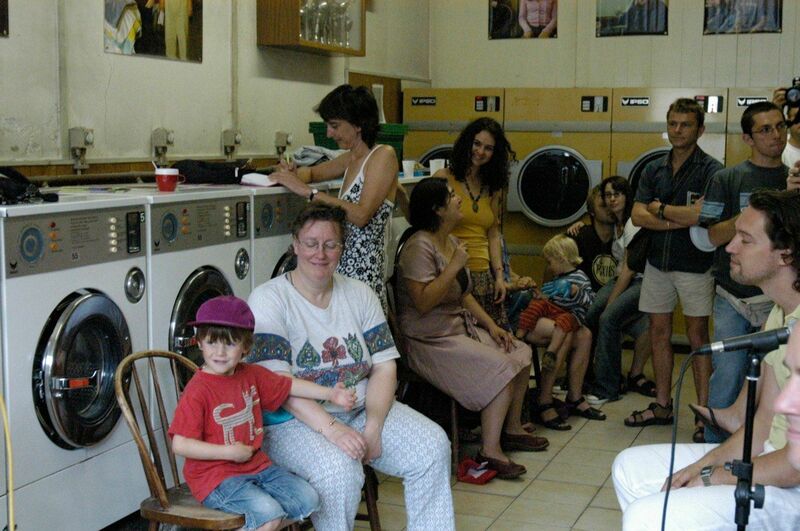 As well as socially engaging performance by transforming the launderette into a meeting place, there is a strong interest on integration, skin colour and cultural conflicts in a multicultural city. 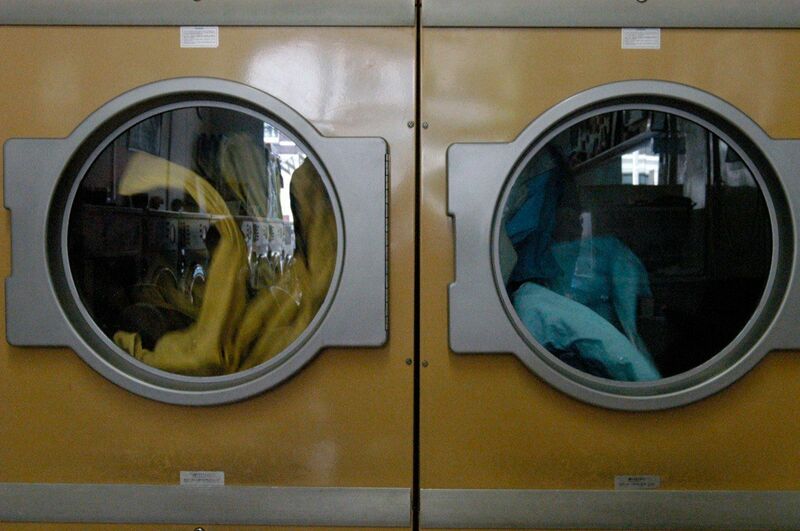 All of them metaphorically represented by the different colours used to dye the clothes. 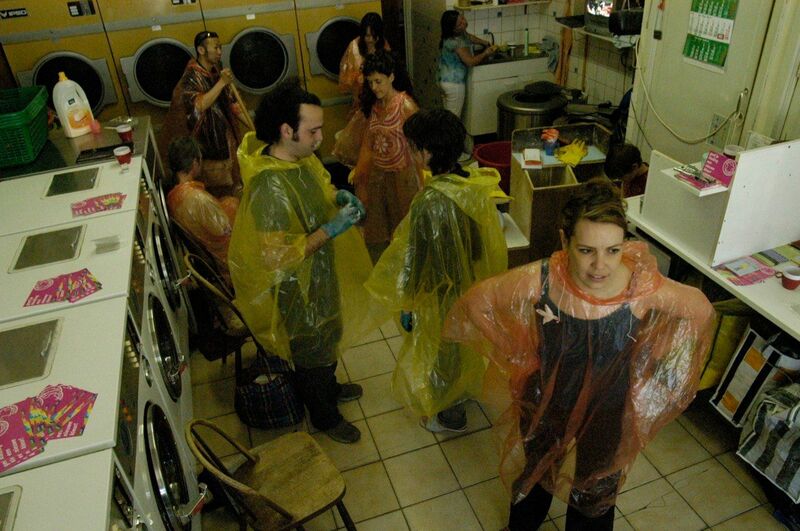 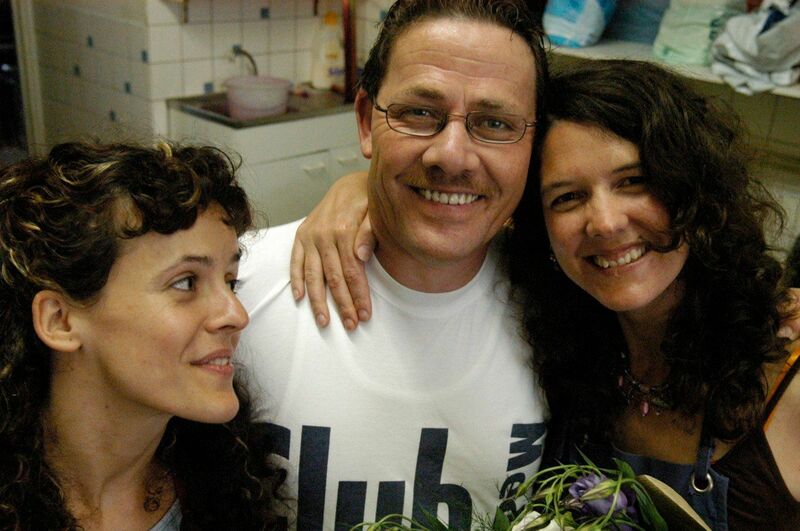 This project successfully brought people from different background together and invited them to communicate and share. 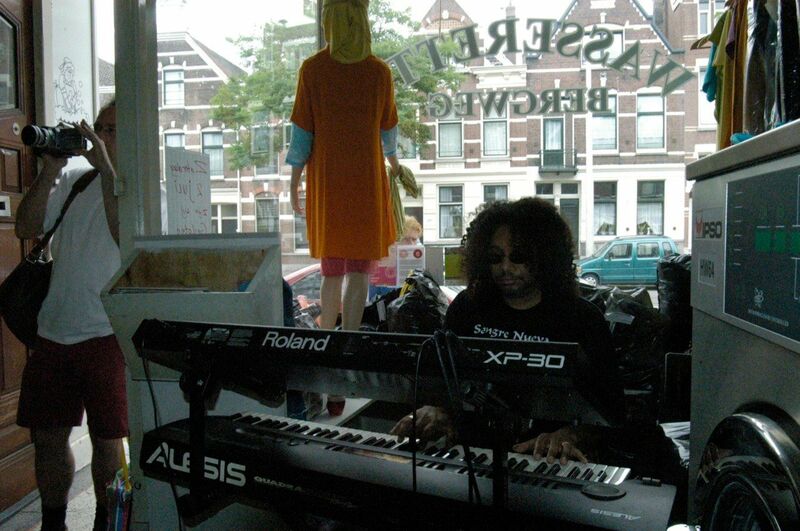 This action had a big repercussion on Local TV and Rotterdam city centre.